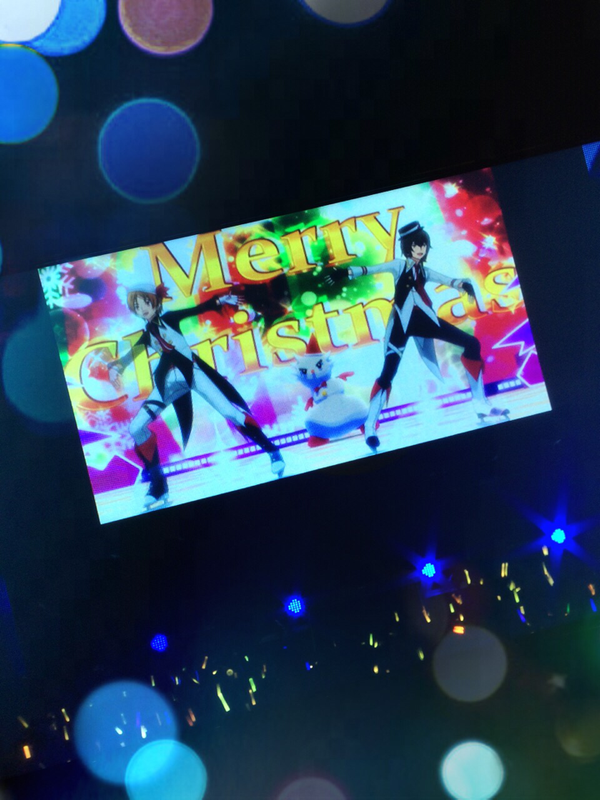 The 17th of December CG director tweeted that he finished all the CG for Kinpri. The dubbing was also over some days ago, see previous post. So it seems the movie is complete. The 1st week, the 9th till the 16th, it’ll be Shin and Yukinojou. 2nd week it’ll be Taiga, Kakeru and Minato. 3rd week will be Leo and Yuu. Meaning if people want to vote for a character multiple times they’ll have to go see the movie multiple times. And they will have time to organize going with friends etc. It’s a pretty smart system. The election will end February 29th. The winning character will have a “special appearance” which they haven’t revealed the details of yet. This is important for what’s next so remember this election thing. 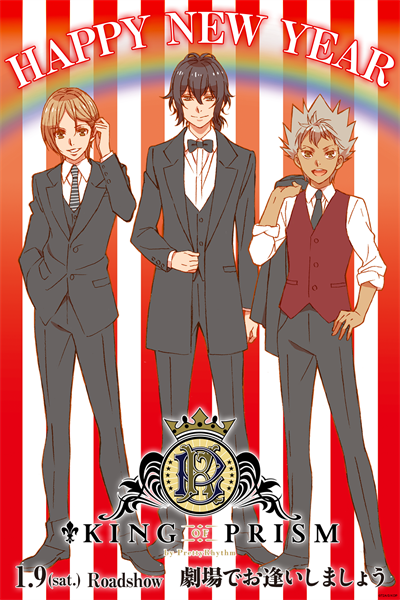 It had PR director Hishida Masakazu, Shin’s seiyuu Terashima Junta and Yuu’s seiyuu Uchida Yuma. It started at 22h00 Japanese time. Before the event, they published an email address and asked if there’s a particular Prism Jump line you’d like the seiyuus or PR’s director to shout. 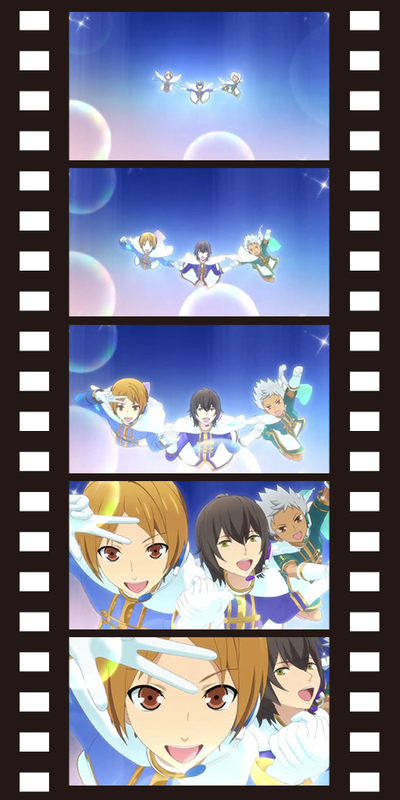 People could also send in original Prism Jumps lines ideas, and the best ones would be shout by one of the seiyuu or PR’s director. A speech PR director did at the end of the event. Someone on twitter also wrote the speech down, which I posted above. They are able to do this sequel to RL and it’s mainly thanks to the fans. There may be people who think that this movie is “just as planned” and that things are “sailing smoothly” but the reality is filled with hardships. Actually, from a business point of view, considering the sales of CDs, DVDs, goods etc of Pretty Rhythm so far, they shouldn’t have been able to get the green signal to make this movie. It’s only thanks to one of Avex’s producer, Nishi san, who really loves PR, and the passion of all the staff. They let them do the After Party event at the Tower Records in Machida. They made a new song Flavor for the OTR album. They let them do the Norizuki Jin birthday event. 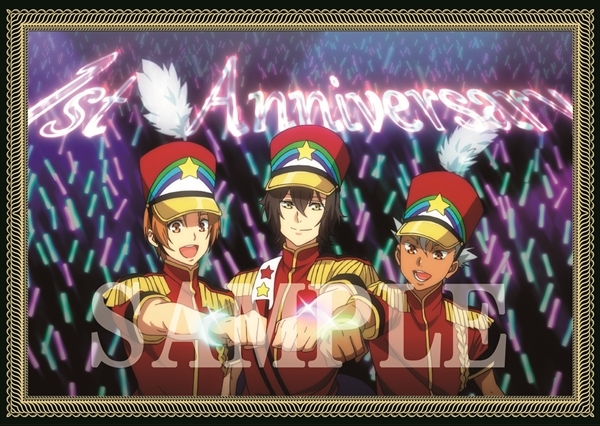 Or how the Hiro x Kouji pride CG video that they exclusively showed at the 2014 PR and PP xmas event was made by CG director during his free time and he wasn’t paid for it. 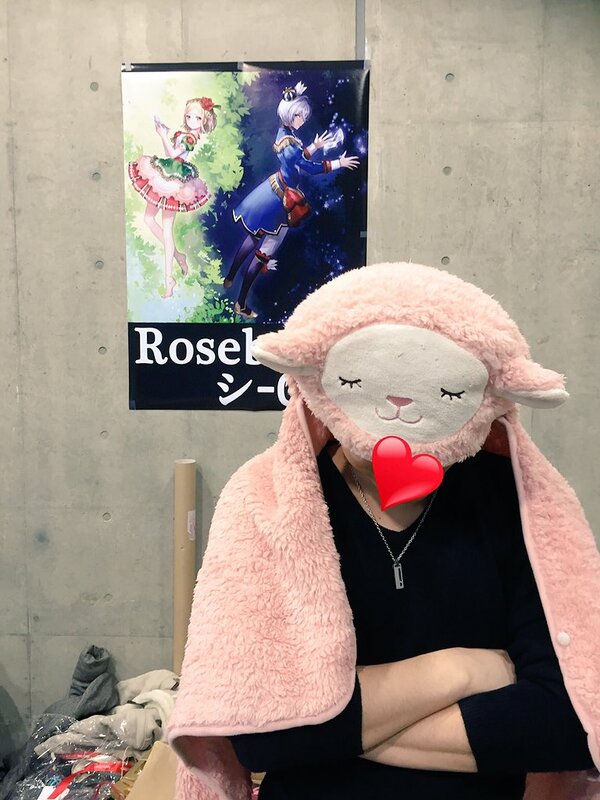 Matsuura Mai too kept drawing PR art even after Rainbow Live ended and kept posting it on twitter. 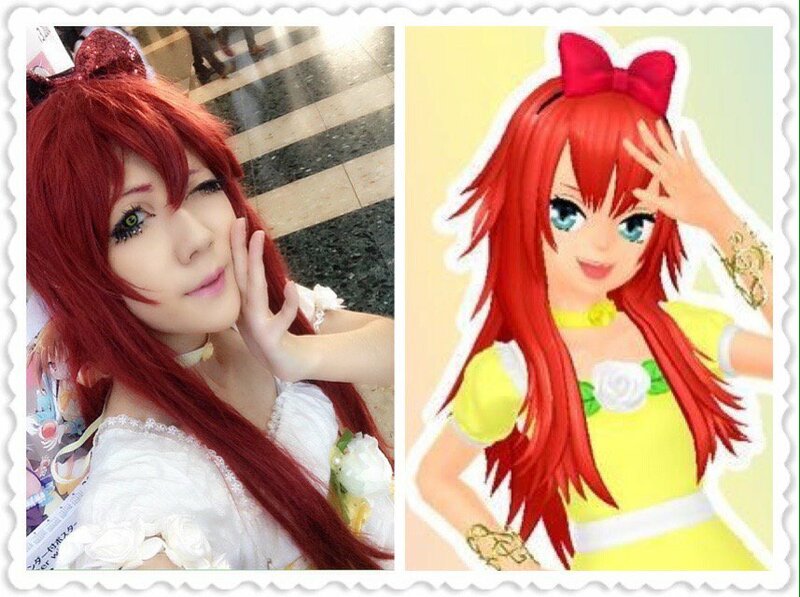 Left pic is from the 2014 xmas event. It was later reused for route 4 of the PP&PR movie, pictured right. They just changed Hiro and Kouji’s clothes. Like he already said in an interview I translated, the 1st PriPara movie was originally planned to be a Pretty Rhythm movie only, but they were told it wouldn’t be advantageous business wise, so it was changed to PriPara with the 4 routes things for Pretty Rhythm. But even then while working on these parts, the hardships continued. While they were planning route 4 with the boys performances, some people related to the budget management actually ordered them to remove it. (Route 4 has the most new stuff so it costed money.) They didn’t give up about it thanks to the fans’ warm support. They told one of Tatsunoko’s producer Yoda san “It won’t move at all so please let us make an animation for Flavor” and used crafty means to reduce the numbers of animation cuts to a minimum. After some talks they finaly agreed to let them do an animation for Flavor. Only 3 minutes. The initial plan was very cheap: they would do one movie in two. The first movie’s first half would be recap for people who haven’t seen PR, and the second half would be new. Then the second movie would the 1st movie’s second half with another new half following it, thus making one completely new movie. If they did it that way, it would mean that what they did so far is actually only the first part, and that they haven’t started on the second part yet. They weren’t decided. The movie’s staff started talking over again about what they should do with this movie, this first and maybe last opportunity. They thought that maybe they should scrap this sequel idea, and just do something like a PR anniversary final, with no story and just make it a succession of lives and jokes. People would get heated up like during the PR/PP movies sing along screenings, everyone would have a good time, and then arigato sayonara everyone go home. But would that satisfy the fans who followed Puririzu until now, and the staff who managed to make their dream go this far? They were extremely conflicted, as this wouldn’t be a proper conclusion to the series. The answer they arrived at was this movie. They’re putting in 9 new characters. (8 if you don’t count Yuu). 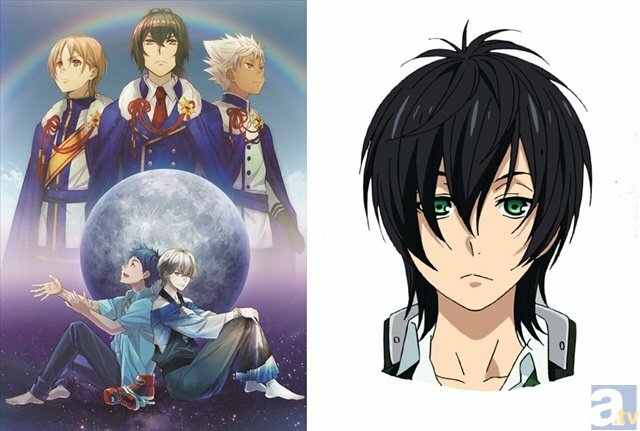 Because of this, people may think they’re removing Hiro Kouji and Kazuki(and the girls, though he doesn’t say it) and making the movie only about the new boys. There’s also people who actually told them this, which is sad, as that’s not the case. Have they ever thrown away main characters in Pretty Rhythm? Fans who’ve been watching attentively till now should know the answer. This movie’s story is about making the best possible glittering story with all the characters, with OTR at the center. In the end, the movie’s total length is 59 minutes. Instead of the initial plan to have half of it be recap, now there’s around only 6 minutes of recap in these 59 minutes. We exceeded the budget and we’re actually in the red. All the persons related to the movie are fighting with all they got, betting their job on the line. However in the end this movie don’t have the full story. 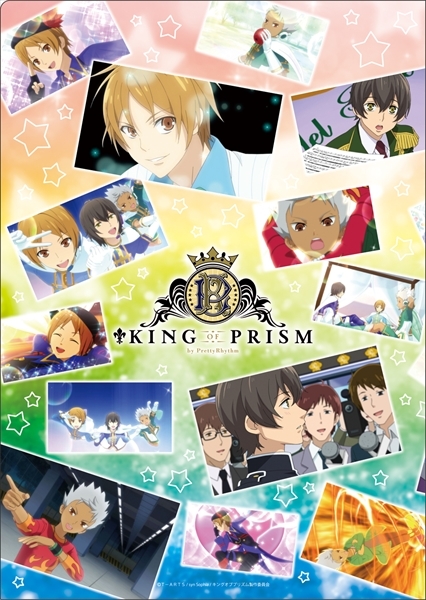 Some of you may have guessed it since when we announced the Prism King Cup Next Generation Prism Star Grand Election: we’re doing this election because THE MOVIE ENDS BEFORE THE PRISM KING CUP ACTUALLY HAPPENS. Unless this movie gets results, we won’t be able to draw the sequel. Once again, we’re cornered at the border of a cliff. And it’s even rougher than before, as this time we need decisive visible results. We don’t have any backing from a big television station, or a game company, or tie ups, or a mobage. Our only weapons are this movie and the fans’ support. It’s like we’re fighting naked. We just want the fans to be able to see the sequel. We just want to work on the sequel. Please, go see the movie. It doesn’t have a lot of screenings and there’s towns that aren’t showing it at all. We’re very sorry. If you know people who may be interested, please go see it with them. If you know people who are interested but don’t have the courage to go alone, please invite them to go with you. Of course we made different ticket illustrations so people buy more to see it multiple times, but it’s also so they can invite people they know with the extras. Please buy the advance tickets. 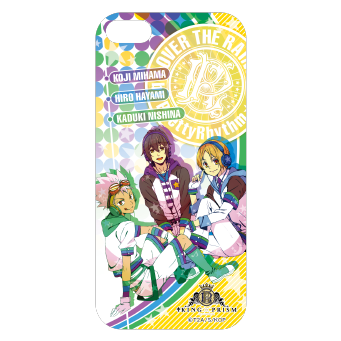 The movie is extremely Pretty Rhythm like. 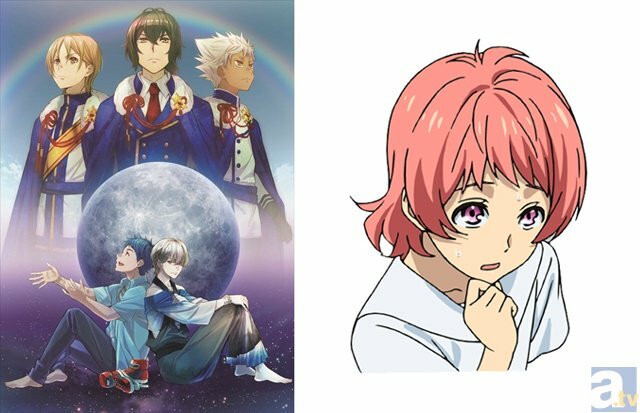 Even if you only saw Pretty Rhythm Aurora Dream, even if you only saw Pretty Rhythm Dear My Future, even if you only saw Pretty Rhythm Rainbow Live, as long as you like Prism Shows you will like this movie. Even if you haven’t seen any season, the movie was made so you can enjoy it too. And of course, people who know about the seasons in detail will thoroughly enjoy it. There isn’t a single wasted line or scene. We added extra stuff in it until the very last deadline. If I endure the shame and make such a request, it’s because I think it will be the first and last time. Please make our dream possible using your power. Dreams shouldn’t end as dreams. Miracles aren’t something that happen but things that are made to to happen. Please lend us your strength. 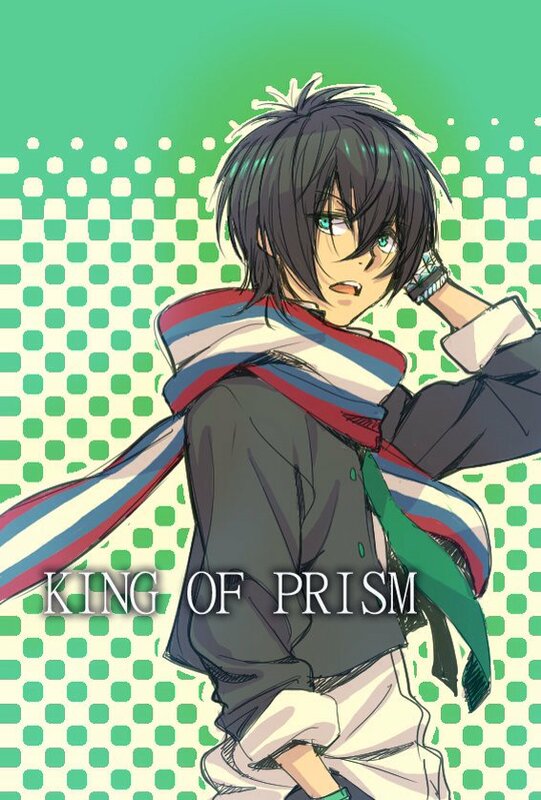 Please go watch King of Prism. This was Hishida Masakazu, director of Pretty Rhythm. 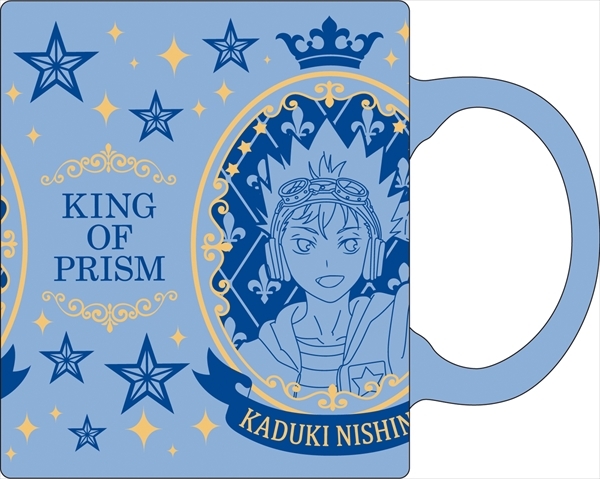 So yeah the movie won’t have the actual Prism King Cup happening. I double checked dozens of times if I’m not reading it wrong, I scrutinized Twitter for more than an hour to look if people indeed confirm it and they do. 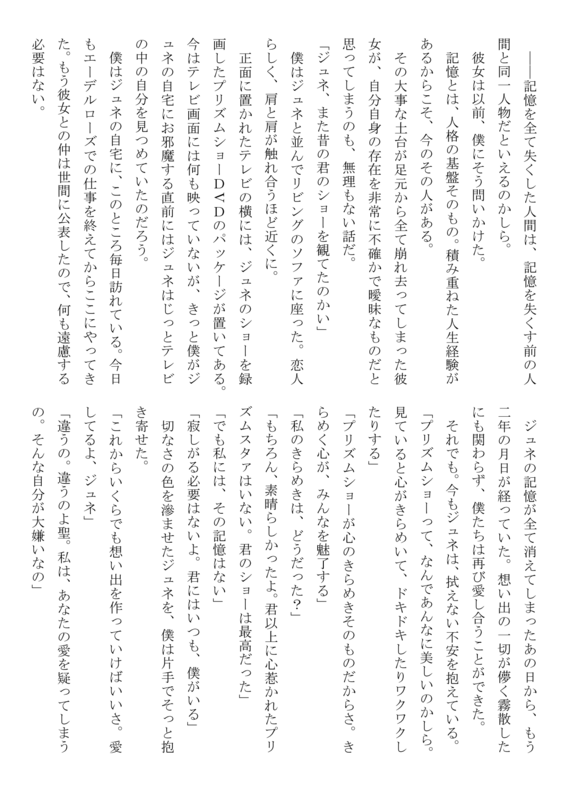 That’s also how I found the transcription, which I used when I was halfway through translating because the sound in the nico video is bad and couldn’t understand everything. 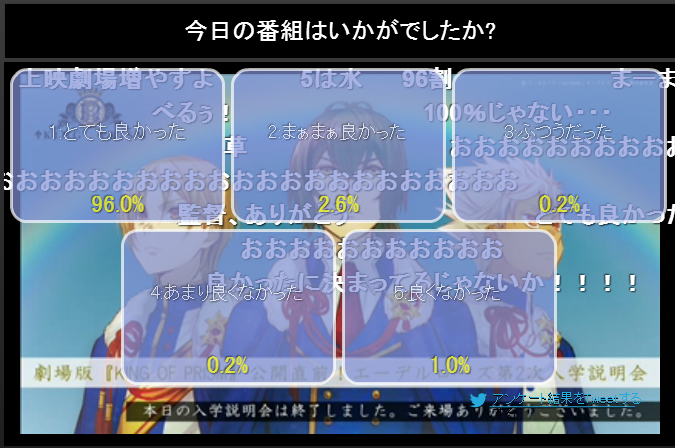 During the nicolive, most comments are people going “eeeh” “maji” and are shocked about it, but almost everyone accepted it. The watchers didn’t downvote the live when it was over too. I think most people are happy they actually said the movie don’t have an ending before they actually go to see it for themselves. Since Twitter exists, I think it’s the first time when something big like that in an anime happens and yet not a single Japanese fan on twitter is throwing a tantrum. 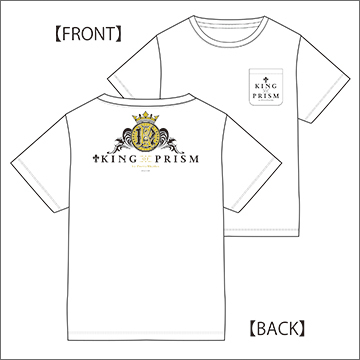 I mean, what we got so far is pretty much false advertising, since the movie has the words KING OF PRISM in it and all the advertisement talks about the Prism King cup and yet it doesn’t actually happen in the movie. 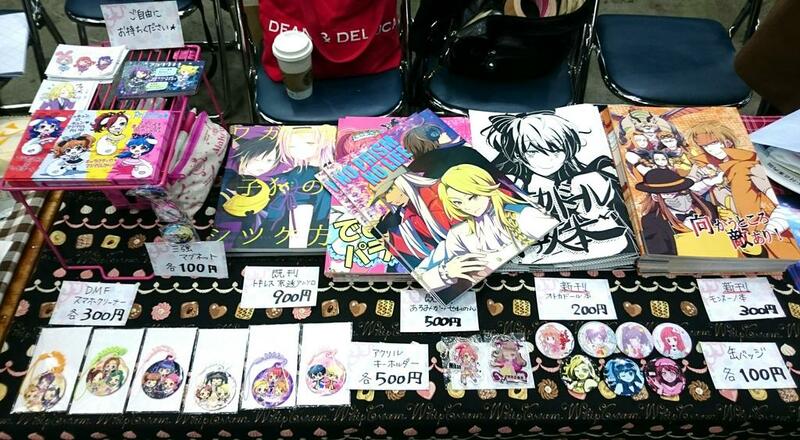 Yet there’s no pictures of fujoshi on twitter breaking and burning their OTR posters. Meanwhile I already saw Japanese PSO2 players breaking their controllers and tweeting it to Sega because of minor changes in the game. Even though the game have tons of other bad designed things. There’s only positive reactions on twitter, people tweeting tons about the movie, saying they’ll definitely go see it and tell their friends etc. Saying the staff loves PR this much so the fans should show it too, etc etc. Some people do jokingly say that PR Director is very good at marketing, but they’re accepting it too. Some are also bringing up the “Pretty Rhythm is controlled by the Yakuza “joke again. First time I heard that one was when I translated the stuff about the RL After Party event. I’m not sure what to think myself. You could say they drove themselves into that corner, that they shouldn’t have added 8 new characters, just make a story with Hiro Kouji Kazuki and Jin all fight each other at the Prism King Cup and that’s it. But it wouldn’t have been long enough. It wouldn’t have been fun. We wouldn’t have got that absolutely stunning hilarious ridiculous Alexander vs Kazuki duel HEADSPIN REBITATION?!! from the preview. There would be no story to expand on. 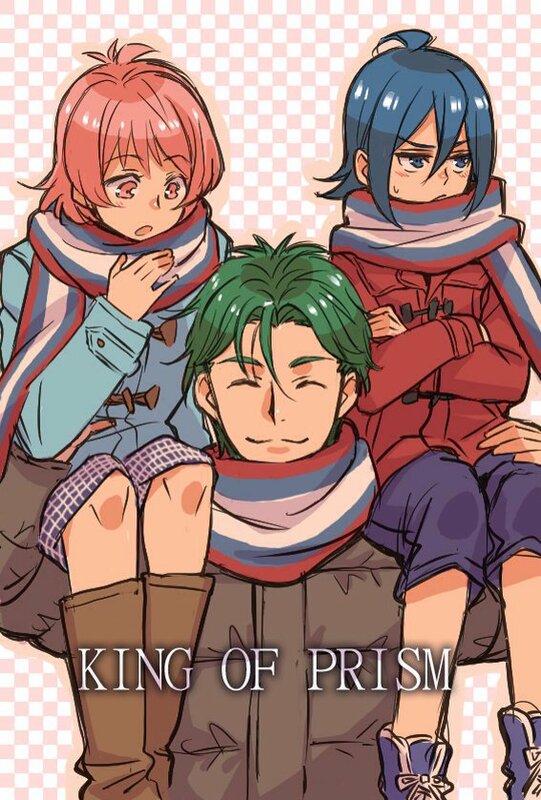 And for those who are mad because the girls aren’t the main characters, even if they only did the Prism King Cup as story, the girls wouldn’t have been the main characters either way. And it would make no sense for Jin to return immediately without new allies and plan for vengeance. So yeah I think this is the best solution. Even if there’s a risk we’ll never see the end. Of course part of me is disappointed. Mostly because it means that even if I get to see the movie when it finally gets released in DVD/BD, I’ll still have to wait even more months for the sequel, assuming it ever gets released. I won’t give up and keep believing. If God wills it I’ll definitely buy the Bluray of the first movie when it’s out to contribute even a little. I want to see the full story. I don’t want Pretty Rhythm to join the list of stories that will never ever get an ending like Getter Robo. Though instead of the author being dead, it would simply be because people have no taste and don’t realize Pretty Rhythm is the best anime of the decade. 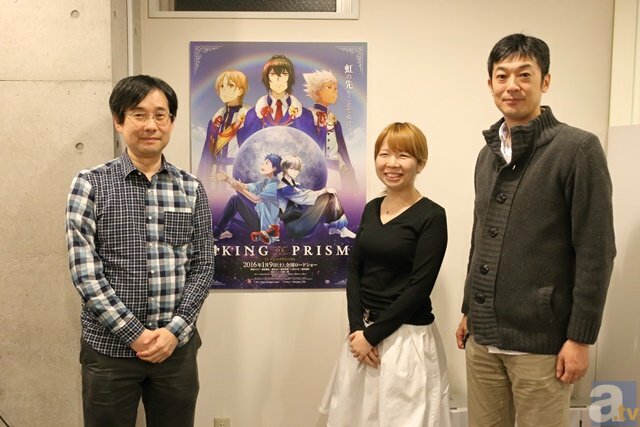 The staff interviewed are Tatsunoko producer Yoda Ken san (left), Avex producer Nishi Hiroko san (middle), PR director Hishida Masakazu san (right). They mostly repeat stuff from the live event I wrote above, with more or less details. 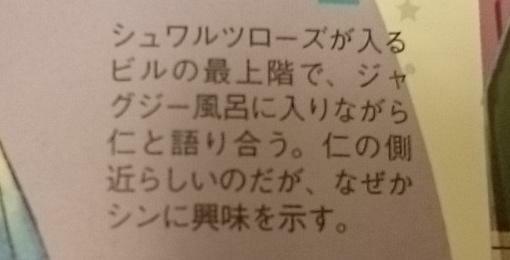 They also talk of how they thought of making Kinpri into a 1 cour late airing TV anime instead. 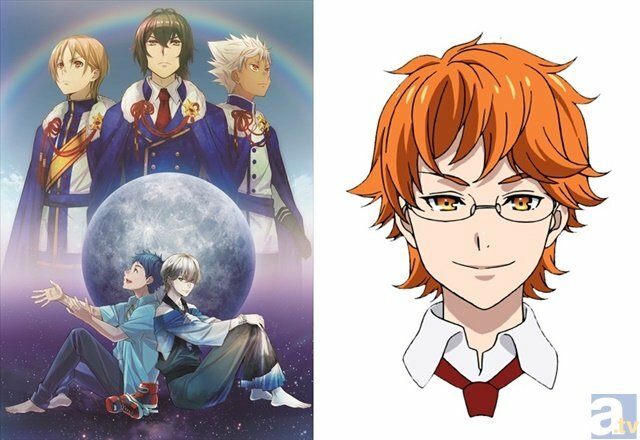 There’s four people which were essential for Kinpri to happen: the three of them and Matsuura Mai (animator and chara designer of the boys). She was busy working on the movie so she didn’t come for this interview. 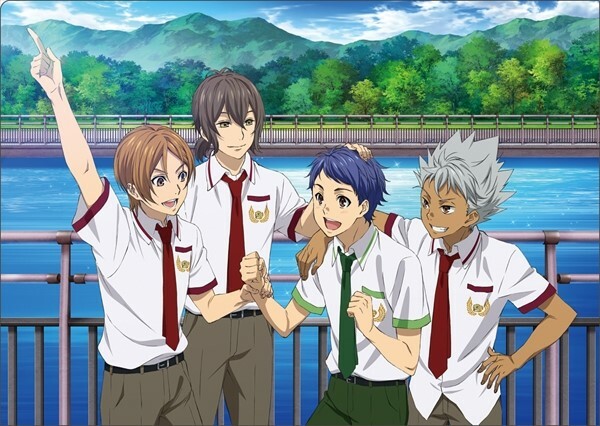 Ever since RL ended all of them thought it’d be nice if they had the chance to do a sequel one day, so not too long after RL ended, they organized a company meeting, and that’s when they had the idea to do a late night TV anime focusing on the boys. But it would be too difficult, so they started talking of a movie instead. But even then no matter how much they would try it would still be hard. Still at the meeting, they also showed the people there the OTR Athletic Core performance in RL ep51, a lot of people liked it, but it still wouldn’t be enough. And convincing the people related to the project wasn’t all, they needed to make more fans interested too. So they released the first OTR CD and they showed the Hiro x Kouji performing pride video at the Pretty Rhythm & PriPara 2014 xmas event. 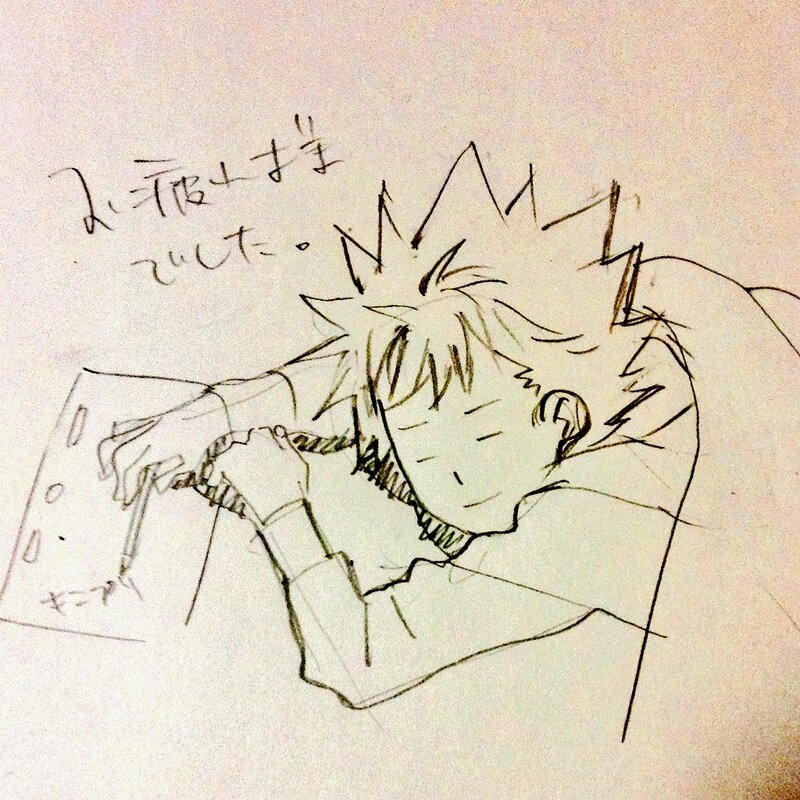 Like I said above CG Director Otobe Yoshihiro did that during his free time. He actually did it back when he and the CG team were working on Hiro’s performance in RL episode 18. They made the version with Hiro’s CG model, and CG director secretly made another version with Kouji’s CG model. 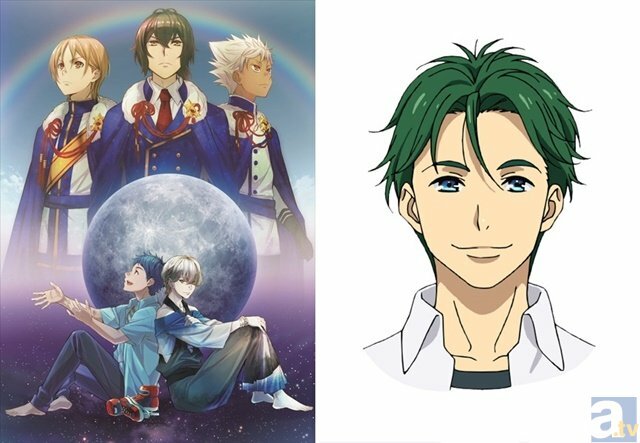 It was like a succession of up and down, PR director wanted to do a sequel but it was difficult to talk about it openly, then Matsuura san would tell him stuff like “maybe we’ll actually be able to do it”, then days later they would be told “nah it won’t be possible in the end”. 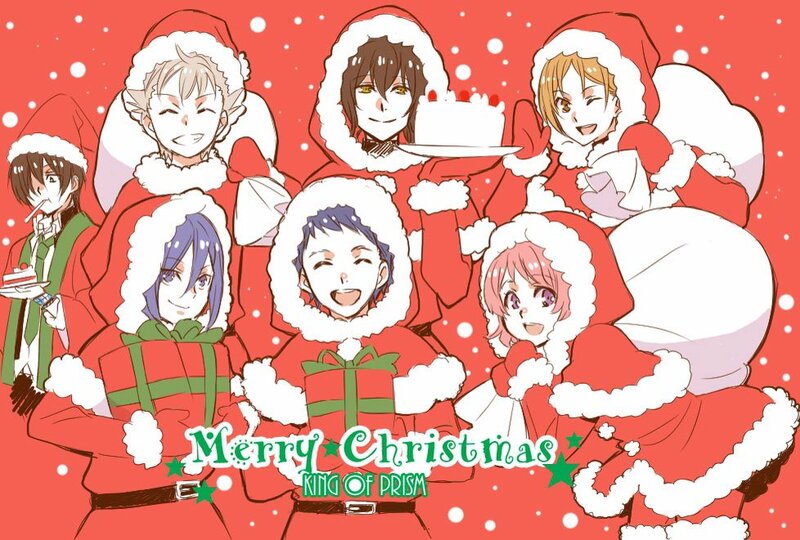 What started to push things in the right direction was the Hiro x Kouji xmas thing. It’s when seeing how fans were hyped about it that the people related to the project started telling the staff a movie might be possible, as long as they gather the money for it. And then when the staff told them that gathering money would be difficult, they started being reticent again. Even then the staff somehow managed to do the flavor animation for the movie. Basically it was constant bargaining and scheming. So then they started plannig the movie, the initial plan as I said above was to make it half recap half new stuff, but they couldn’t decide etc. The more they were working on it, the more they didn’t want PR to end, make more events, try to do the late night tv anime along with the movie etc. They didn’t want to limit themselves thinking “this will be the last thing anyway”. They wanted to do a lot of things. That’s why they decided to add all the new characters because only focusing on OTR would limit them. But if they add new characters, they wouldn’t be able to do half recap half new and be forced to do all new, else they wouldn’t have the time to develop the new characters. However they only had the budget to do the scrapped plan of half recap half new. So that’s why we’re getting a 59 minutes long movie with 6 minutes of recap now and unless it’s popular enough we won’t have the sequel. 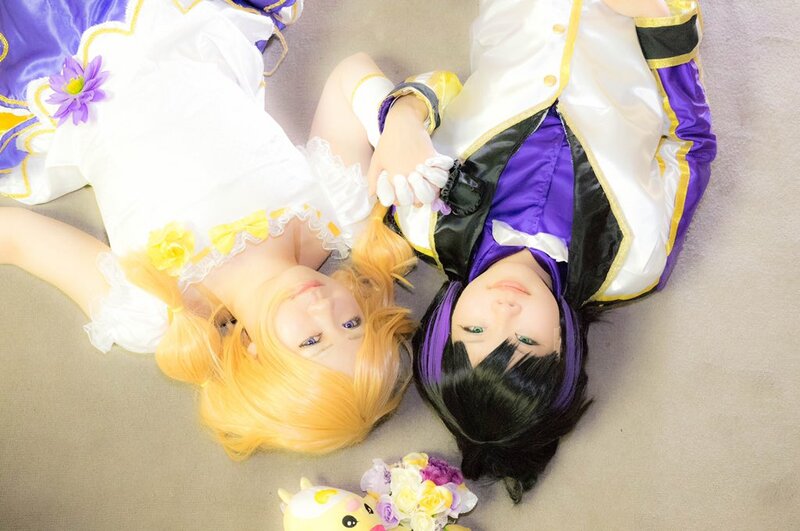 One of the reasons Kinpri is aimed at older girls is because there’s already PriPara that’s aiming little girls. So if Kinpri was little girls oriented too, they would clash and it’s not good for business. 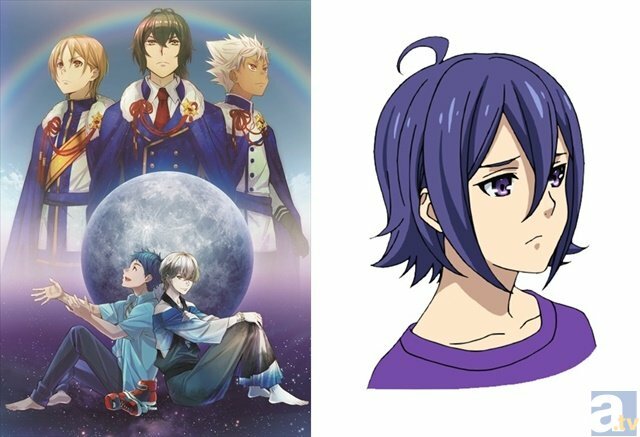 The boys they added for Kinpri were designed with older girls in mind, but the story and the way the movie feels isn’t different from the usual in Pretty Rhythm. 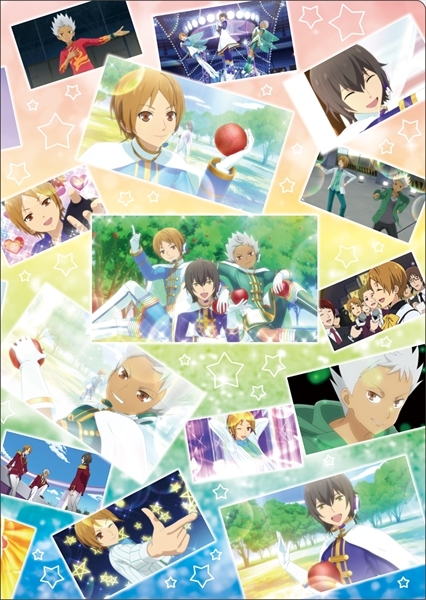 It’s very different than the usual boys idol anime aimed to older girls. 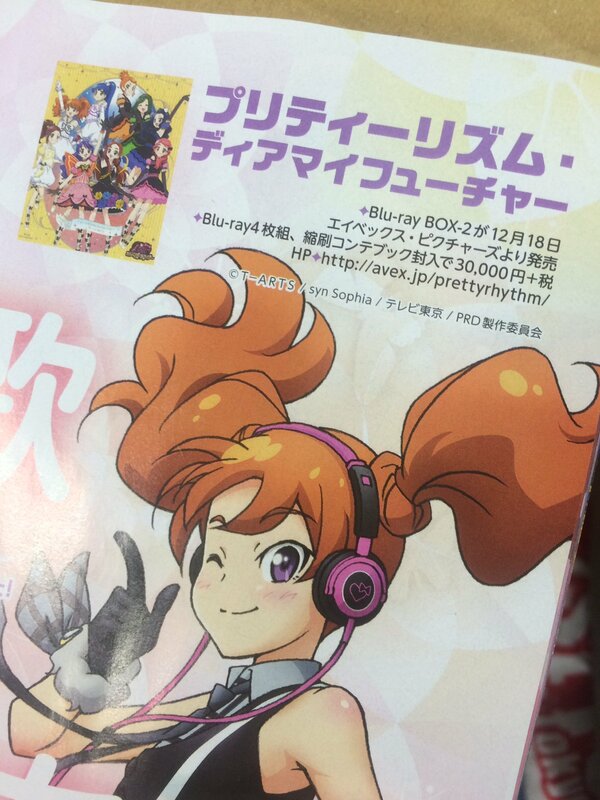 So all the people who enjoyed Pretty Rhythm until now, including guys, will enjoy this movie too. 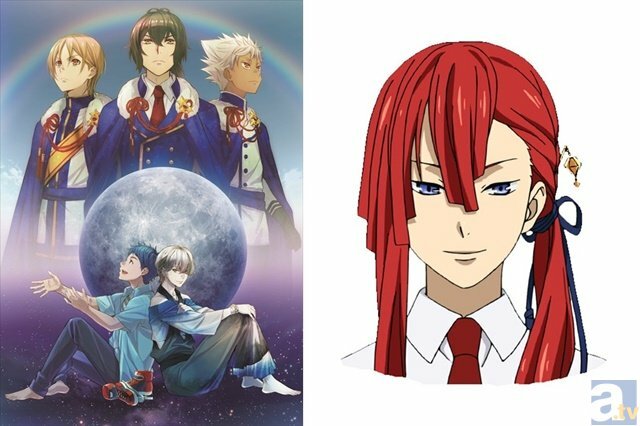 When asked what they want to do now, Avex producer Nishi Hiroko san said she wasn’t working on PR from the start, and when she started working on it she thought it was just a little girl anime, but she watched it and thought it was super interesting and became a fan. She checks people’s reactions on social networks etc and was surprised at how much the people who actually watch it love it and were thinking it’s a great show like her. She wants it to continue and become popular and to sell a lot. PR director first joked saying what he wants is to not be in the red anymore. Then he said he just wanna make new content for PR. In a sense the Pretty Rhythm stuff in the 1st PriPara movie was the final work of Pretty Rhythm as a little girl oriented anime, and now Kinpri is a new starting point. 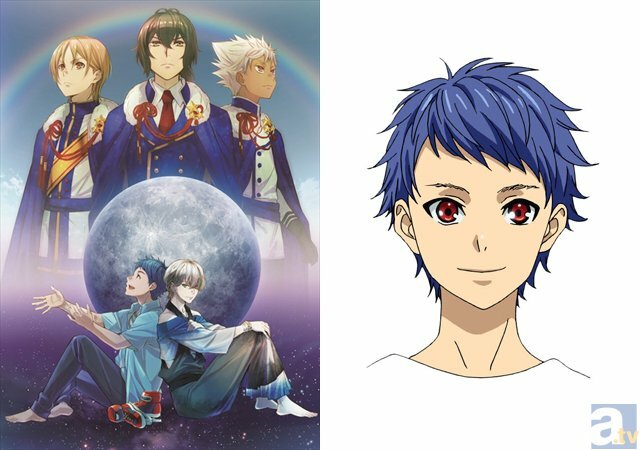 For the casting, Avex producer Nishi Hiroko san had the final say when choosing the seiyuus. When hearing them record for the ending song recently, she thought she did a good job as they were pretty good. For the characters themselves, of course Matsuura san designed them all and PR director wrote them all, but they kept sharing ideas during the process. For example Matsuura san had the idea for Taiga. PR director had the idea to put in a Kabuki actor, Yukinojou. He’s also the one who had the idea for Leo. They don’t admit Leo looks like Leona but don’t deny it either, saying “if you think you already saw Leo before it’s probably just your imagination lol”. And that you shouldn’t worry as it’s not like they just copied Leo from somewhere and they actually put a lot of work into the characters. For Kakeru it was a mix of all their ideas. He’s one of the character they spent the most time on. PR Director made him because he wanted to put in a rich guy type character. Matsuura san had the idea of making him an otaku so they threw that in too. 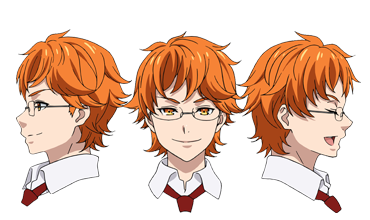 Then they didn’t know how Kakeru would look like, but someone told PR director Kakeru’s personality makes them think of Fujimori Shingo from the manzai duo Oriental Radio, so they inspired themselves from him for his design. Though in the end while they look similar, they don’t have the same personality. Anyway, Kakeru has a very important role in the story. 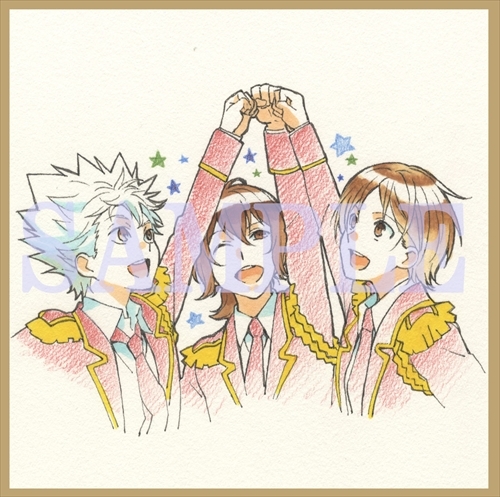 Since in Kinpri the main characters are boys instead of girls, they gave the movie a fighting like feel, even more than usual. Maybe give the boys their own Prism Live special technique too, and call it something like Prism Ecstasy. 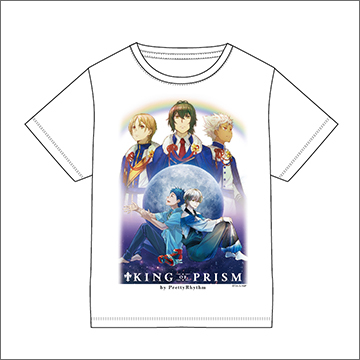 The movie is for the people who since Aurora Dream, always thought boys Prism Shows are super awesome. They want to show that super awesomeness. They want you to feel the same satisfaction you feel after watching a really great fight in a shounen or mecha anime. Men will definitively love watching this movie. 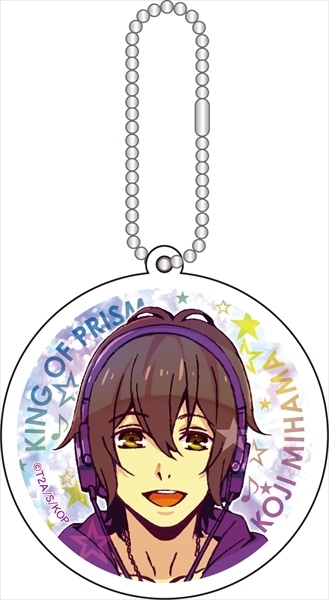 They know how ridiculous and awesome Prism Shows are in Pretty Rhythm, and as there’s barely nothing that exists that’s similar, they wanted to use this opportunity to accentuate it with the boys Prism Battles. 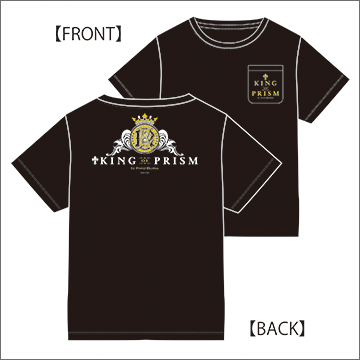 They know how much ridiculous, funny and yet awesome Prism Shows are. They want you to laugh but also feel genuinely impressed and overwhelmed. 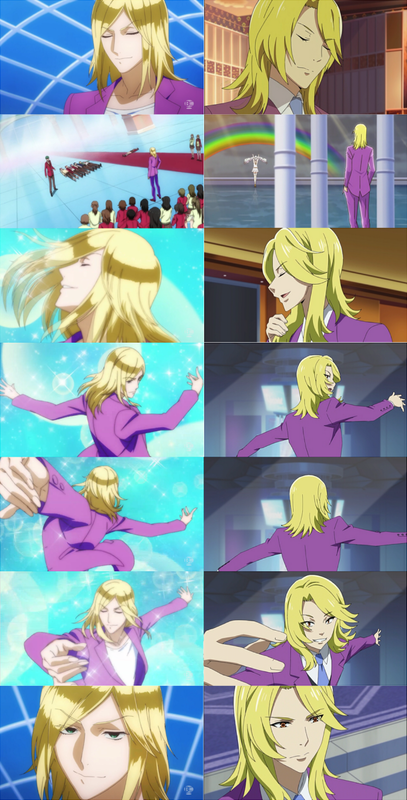 That’s the tradition and soul of Pretty Rhythm. The animation and CG has been improved compared to Rainbow Live. While the movie doesn’t focus on the girls, they’ll show each one of them in some way or another. You’ll definitively know what all the girls are doing one year and a half after the end of Rainbow Live. 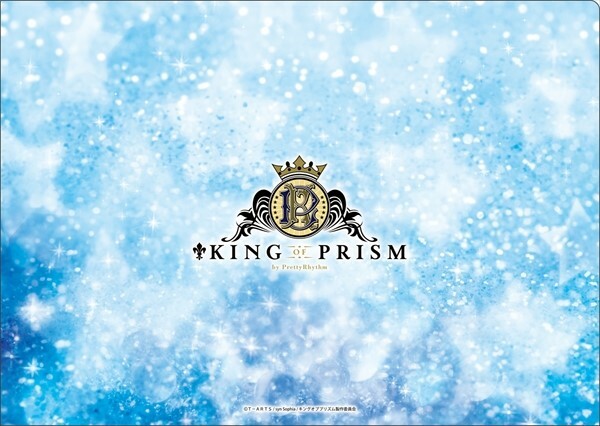 The 22th December, from 18h00 to 18h30, there was a event called “King of Prism Special Free preview”. They randomly chose 25 people from the people who bought an advance ticket for the movie, and sent them a mail a few days before telling them the location of the event somewhere in Tokyo. Each person could bring someone, so 50 persons attended in total. It was the same day as the live on nico nico which was at 22h00, so I think they showed them the same preview video from the live. 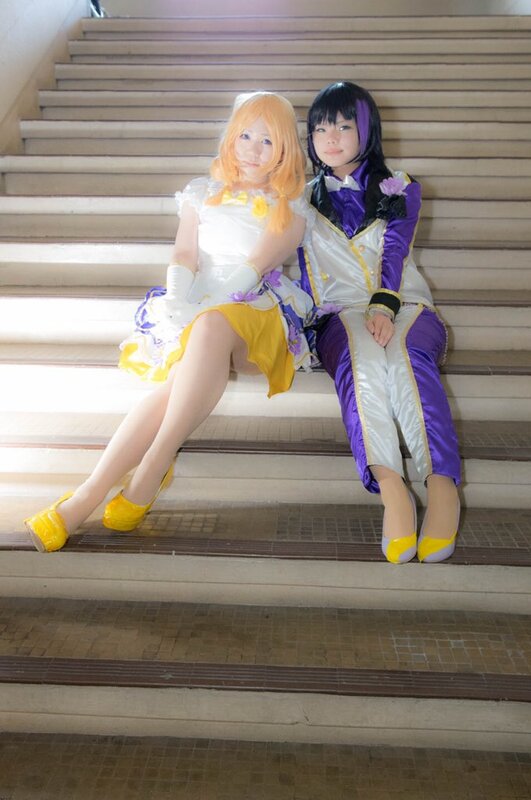 They sold more advance tickets for the movie during the PriPara xmas event the 20th of December. 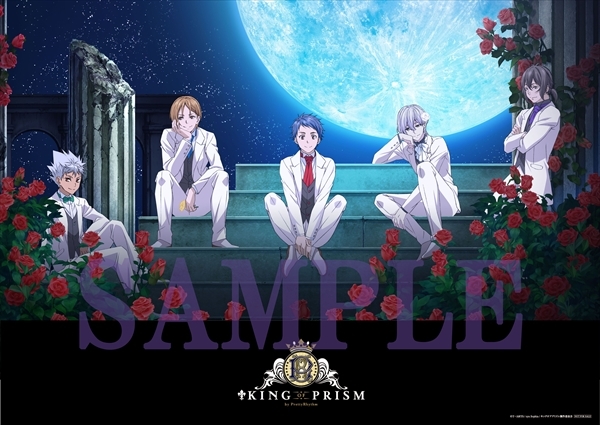 The ending song of the movie is titled “Dramatic LOVE” and is sung by the 6 new Edel Rose characters. 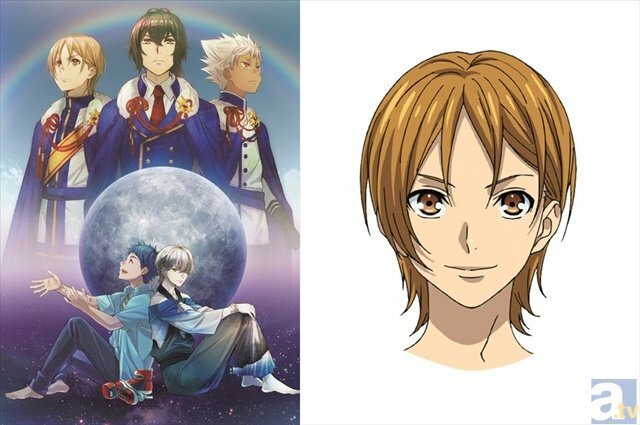 There will be “stage greetings” of the movie the 9th in multiple cities and the following days, with someone from the staff and some of the seiyuu being present at each one of them. There will be talk events too. 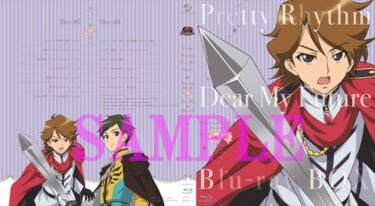 New Kinpri PV released the 31st December. You can see what they meant by being able to do stuff they couldn’t do when the show was airing on tv, like showing Rei smoking&alcohol. That Louis scene seems to confirm he’s a Prism Messenger?! Kouji is going to leave OTR to work on a Hollywood movie?! Hiro says he’ll support him no matter what he decides. The scene at the end with Hijiri must be at the beginning of the movie, the one he’s talking to is probably Shin. 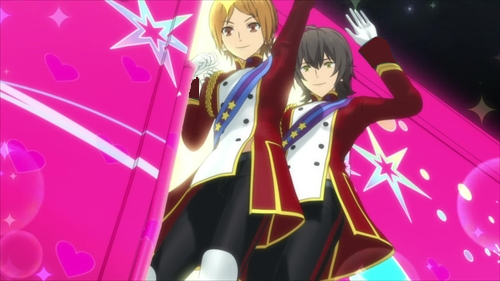 It mirrors the scene when Kou saw Hiro dancing alone and asked him if he likes Prism Shows. My hype is maximal. Also, you see the big Schwartz Rose building? 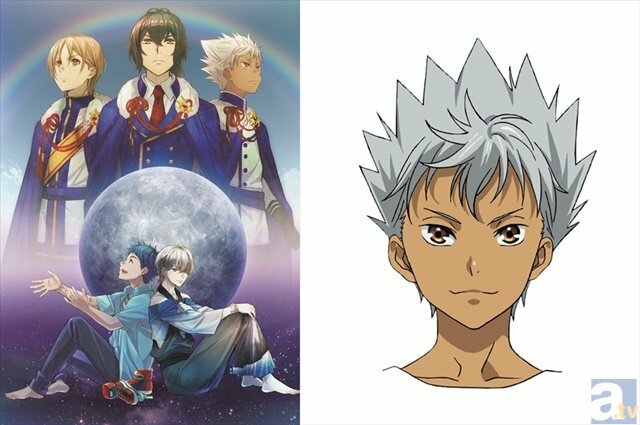 A fan on twitter pointed out that before this PV got released, in one of the magazine interviews for the movie, PR director said there’s a jacuzzi in it. And it seems like there will be a scene with Jin in the jacuzzi. New year drawing by Matsuura Mai. 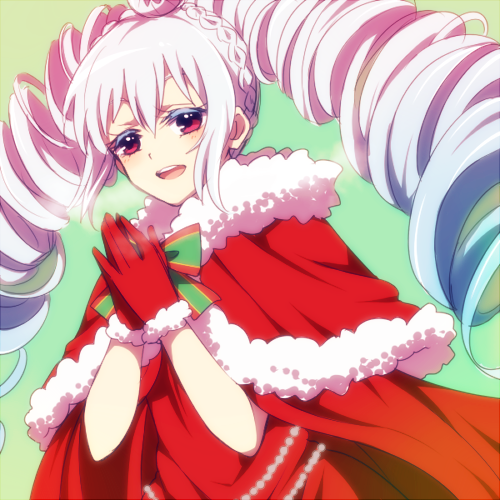 Merry xmas drawing by Matsuura Mai. She’s also been doing a daily countdown to the movie’s release, publishing a new illustration each day. I think when she’ll be done posting them all they will all link into each other if you order them correctly. 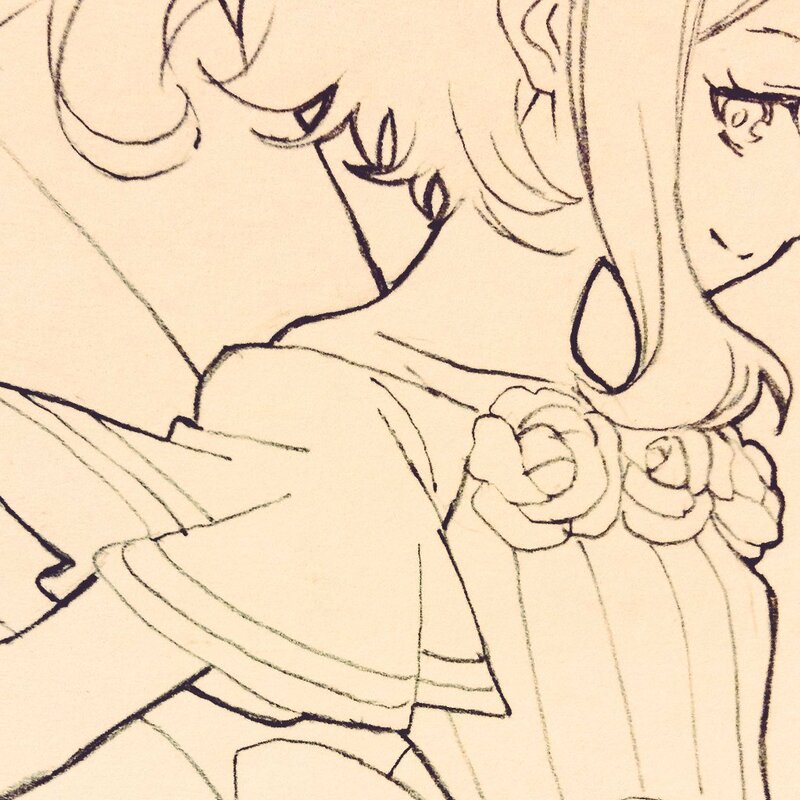 Remainder you can find all Matsuura Mai illustrations on her twitter. 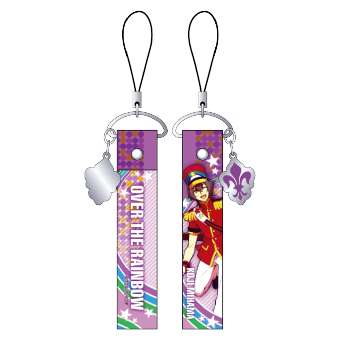 In the Over The Rainbow Special Fan Disc that was released on December 23rd 2015, track 8 is a drama CD like track where Hiro Kouji and Kazuki are eating together and talking about the girls. Anyone who bought it can confirm and post a summary of what they say? No one upped the single on nyaa or something and I’m a poorfag so can’t buy it. When doing the “layout check” for the movie, Matsuura Mai would stamp a Naru symbol to indicate something’s been checked. 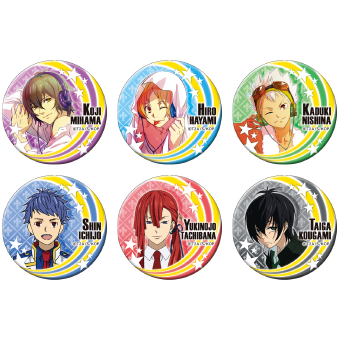 “Character interviews” of the Kinpri characters were released on animate. They’re meta interviews where they interview the character himself before the movie happens. Probably PR director wrote them. For example, in Shin’s interview, as it’s before the movie, he haven’t started doing Prism Shows yet and he’s like “oh you’re talking about that kinda popular thing with the weird jumps?”. Honestly and objectively speaking, they barely say anything interesting. It’s only worth reading if you’re a PR nerd. Kouji’s hobby is cooking and he often cooks bentos for Hiro and Kazuki. Right now as part of his OTR activities he’s the cook in a morning cooking show. 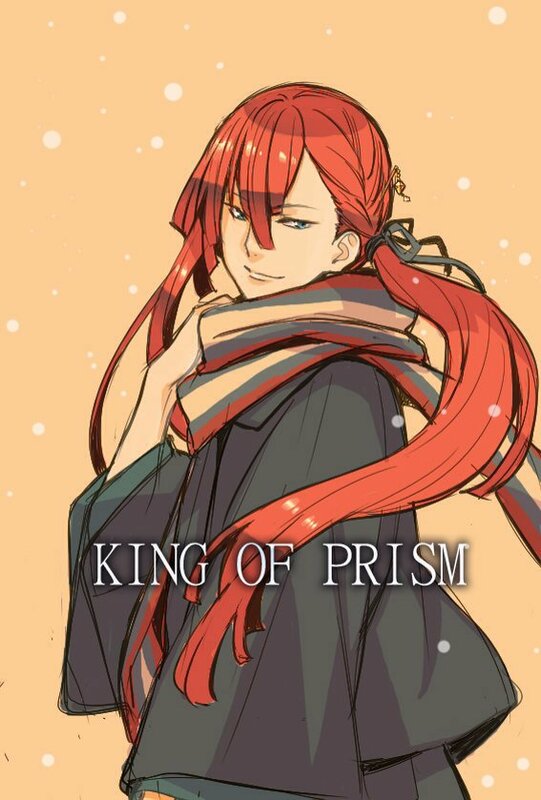 The Prism Star he always admired is the current chairman of Edel Rose, Himuro Hijiri. When asked what’s the most important feelings for him when doing Prism Shows and Jumps: “Love and the feeling of wanting everyone to have fun. Always trying to do something new and surprising”. “I mostly help my father with his signboard making work. Recently I designed an advertisement signboard for Magical Mion Returns. I’m the one who does the most dancing in OTR performances. 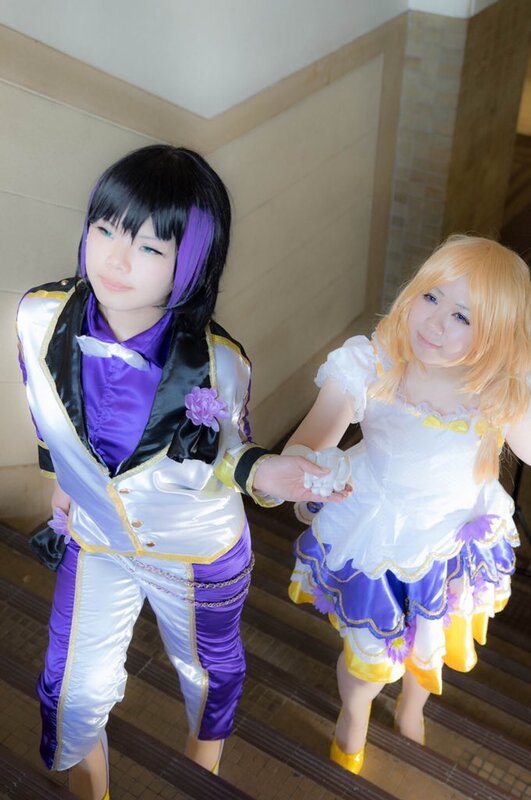 The Prism Star I admire is DJ Co-, no, it’s Kurokawa Rei san”. Recently he started acting in dramas. He learned a lot thanks to it but he doesn’t think he’s very good. 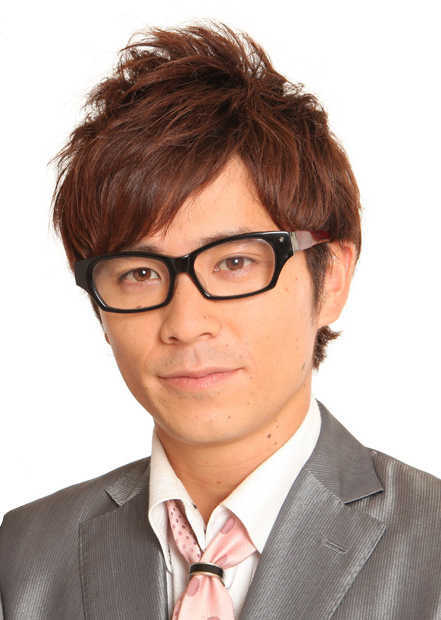 He’s also doing a morning show called “dance no oniisan” with kids. 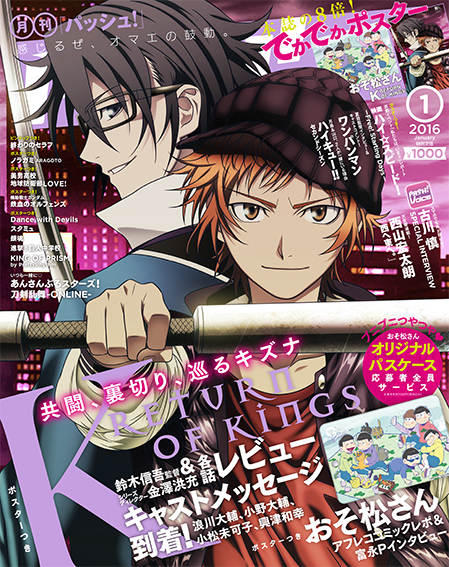 Hiro Kouji and Kazuki are now in third year of Kakyouin high school section which belongs to Edel Rose. 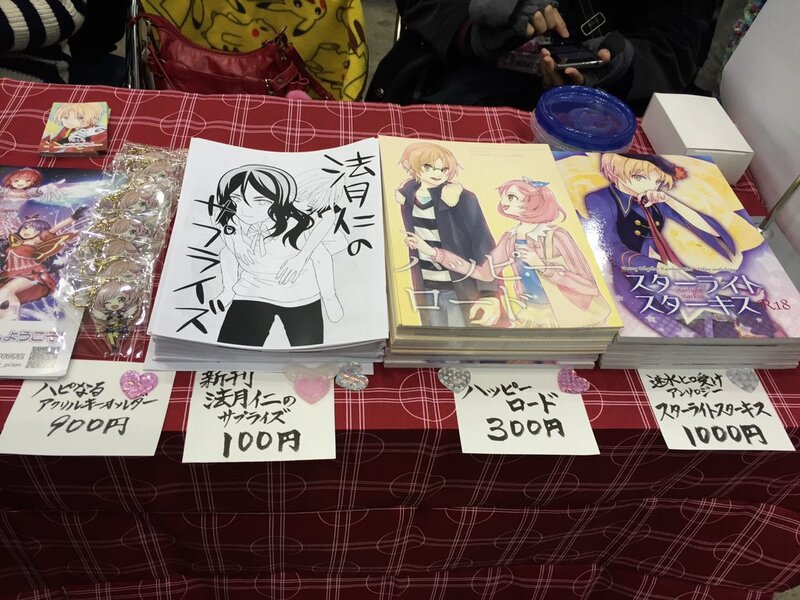 Apparently at their school’s cultural festival which happened between the end of RL and the start of Kinpri, Kazuki was forced to crossdress and wear a skirt. Maybe his class did a play or a maid café or a cross dress café. We’ll never know. Shin is in 3rd year of middle school. His favorite food is fried shrimps with tartare sauce. His least favorite food is celery. He has his end of middle school exams soon so he’s been taking extra lessons as he’s bad at maths. When asked if he’ll get in Kakyouin high school (and Edel Rose) he says it’s a private school, costs too much and the exams are too hard, he’ll just try his best to get in a public school. Yukinojo introduces himself as the seventh Yukinojou so I guess most kabuki performers in his family share the name or something like that, I don’t want to spend time googling about Kabuki traditions. He’s in first year of Kakyouin high school section. The person he admires is his father, Tachibana 右衛門 (Yuemon? Dunno how it’s read). Yukinojou mainly plays women roles in Kabuki, and usually kabuki actors who play women uses wigs, but he decided to grow out his hair and use his own hair to be able to feel even more close to a woman for the sake of his acting. His favorite Kabuki play is Nihon Furisode Hajime. He spends most of his time on stage. Even when he isn’t, when eating or bathing, he always thinks about his next performance. He started doing Prism Shows because he thinks it’s similar to Kabuki, as they’re both about polishing oneself. 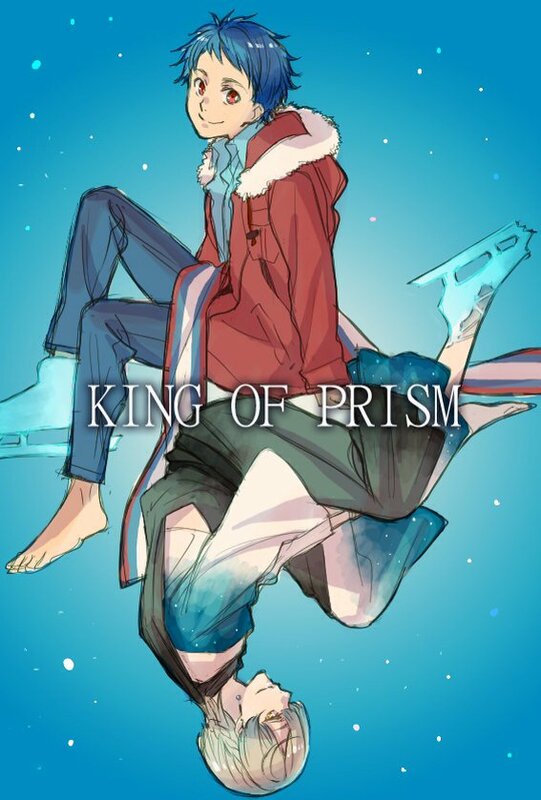 He enrolled in Edel Rose because it’s the Prism Show school with the longest tradition. It’s really short as he doesn’t talk much. He’s in third year of Kakyouin middle school section. He’s good at climbing trees, goes on festivals during his free time. When asked about how he looses control of himself when a girl touches him, he says it’s not like he can’t handle girls or anything!! He just doesn’t have time to flirt. 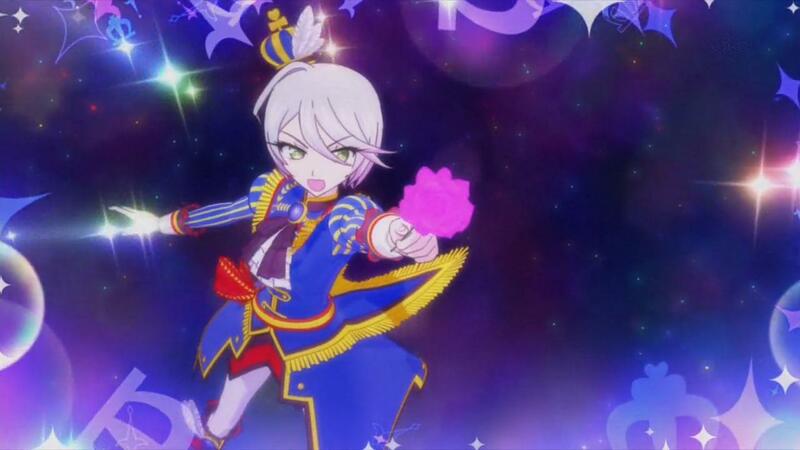 Speaking of that he really hates Prism Stars who seduce and flatter girls and stuff. 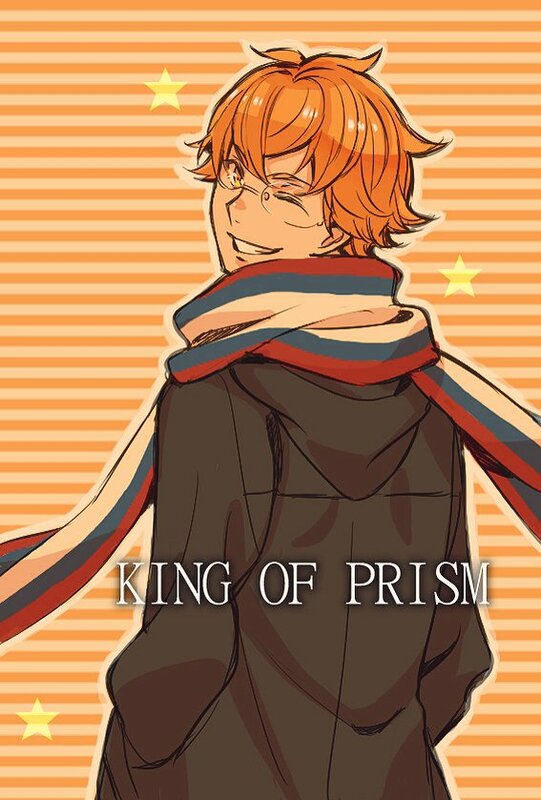 He thinks Street Style Prism Show is the best, it’s strong, it’s cool, it’s manly. 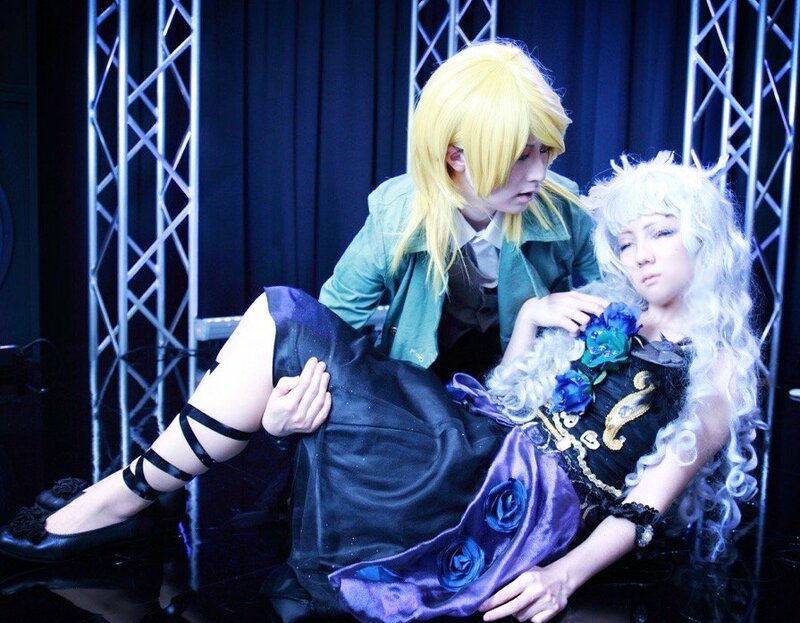 He got into Edel Rose because “Kazuki senpai” is there. He’s in first year of Kakyouin high school section. The senpai he admires the most is Kouji san. His strong point is cooking. Kouji trains him regularly and even taught him the secret “gold consomme soup” recipe of the Mihama family. He spends most of his free time cooking. When he has a lot of time he makes stews or tonkotsu soup etc. He’s also growing out vegetables in a garden outside the dorm, but keeps it a secret from the others. His specialty is making pasta. Peperonchino, Penne all’arrabbiata, Carbonara, etc. He can cook any type of pasta. He speaks in a very shy way. He’s in first year of Kakyouin middle school section. People often tell him he has smooth skin like a girl but he doesn’t particularly take care of it. He just does “the things any girl would do”, washing his face carefully and putting lotion, being careful of sunburns etc. 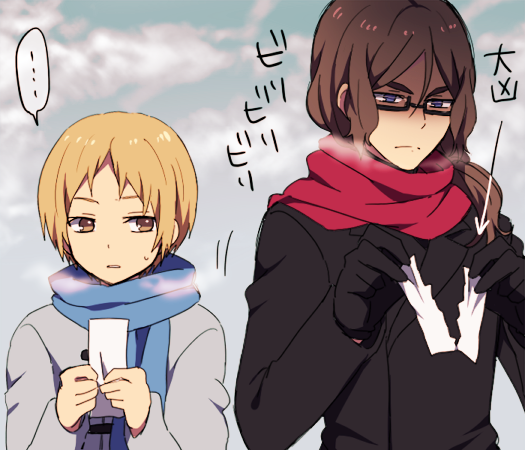 Recently he always follows Yukinojou senpai to learn how to be manly from him. Because Yukinojo senpai knows the differences between men and women the best and is very manly. 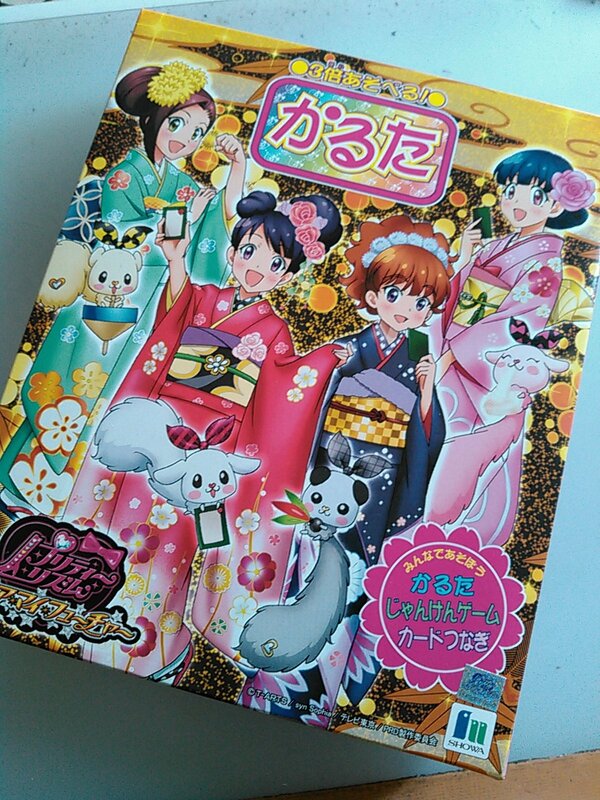 The 18th of December 2015 the 2nd DMF bluray box was released. Didn’t check how much it sold. 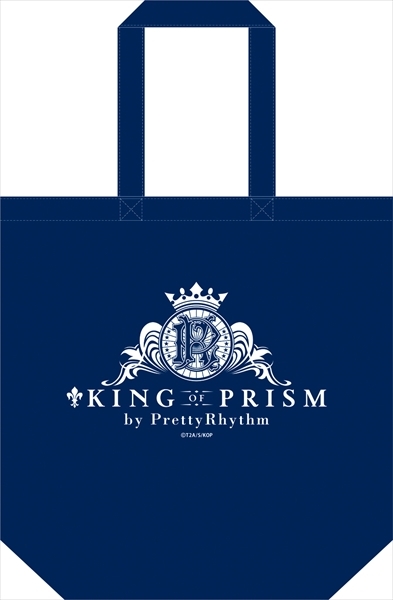 The same day they did an overhaul of the Avex Pretty Rhythm page. Maybe the illustration for RL will be used for the future unannounced RL bluray boxes. 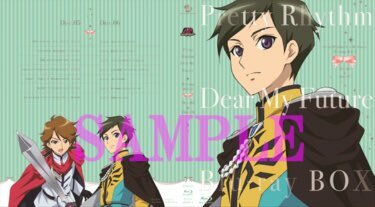 Preorder bonus covers for the 2nd DMF bluray box. Shou and Rival Otoko. Animage January 2016 released 10 December 2015 had an interview of PR director, Ookubo Rumi/Mia, Takamori Natsumi/Reina and Ayane Sakura/Ayami/Rinne. 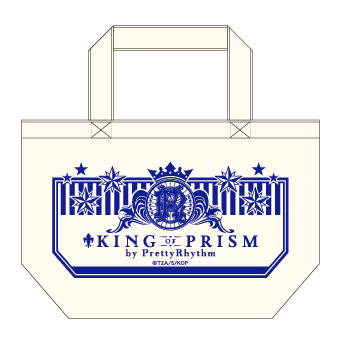 You can get exclusive goods by going to see the movie. They will change depending of hte week. 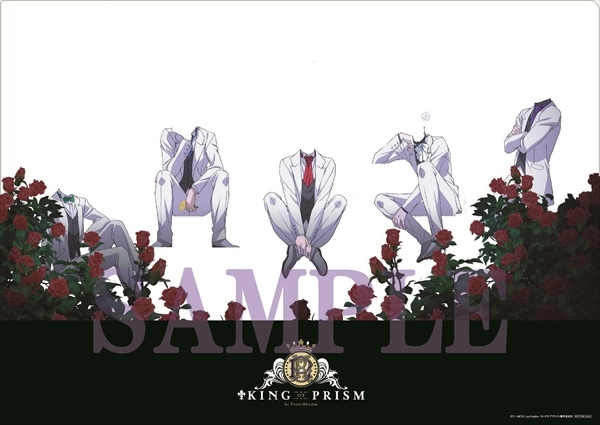 First week when the movie gets released, the bonus will be this A4 poster and this paper case or something. If you have all 5 tickets with each of the boys naked, you put them in and Prism Change!! They wear tuxedos. Second week will be small card illustrated by Matsuura Mai. They’re shouting BURNING! Third week will be a bookmark with a film like style, showing a scene from the movie frame by frame. There’s 48 different ones in total. Pash! 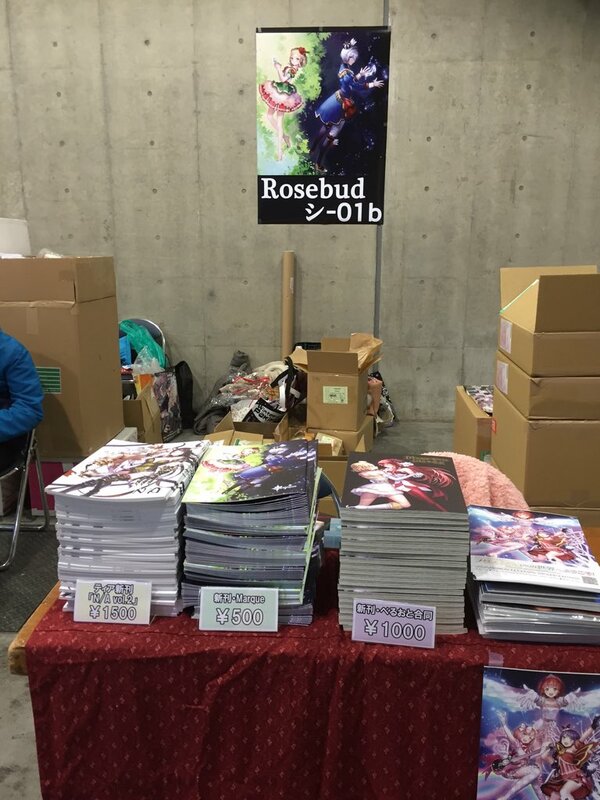 January 2016, released the 10th December 2015 had design pictures of the Schwartz Rose team and an interview of Matsuura Mai. T-Shirts who will be sold when the movie gets released. The only size is Women M, meaning they’re too small guys like me. 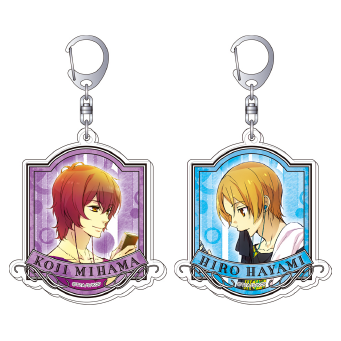 They’re 3500 yen each. 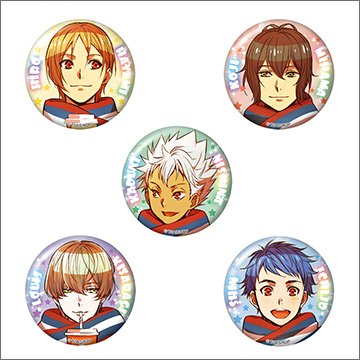 Kinpri badges. 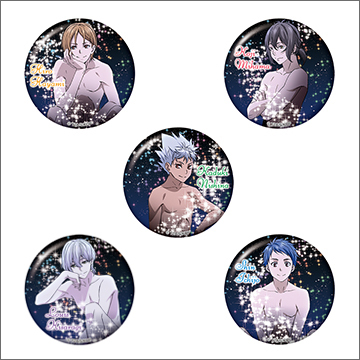 They aren’t sold separately, each batch of five badges is 2000 yen. They’re 20mm. 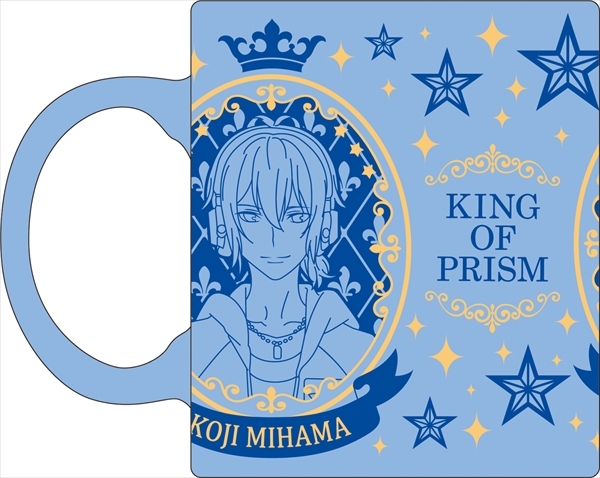 There’s also straps, keychains, a cup, a towel, etc. Wanted to list everything at first but takes too much time. 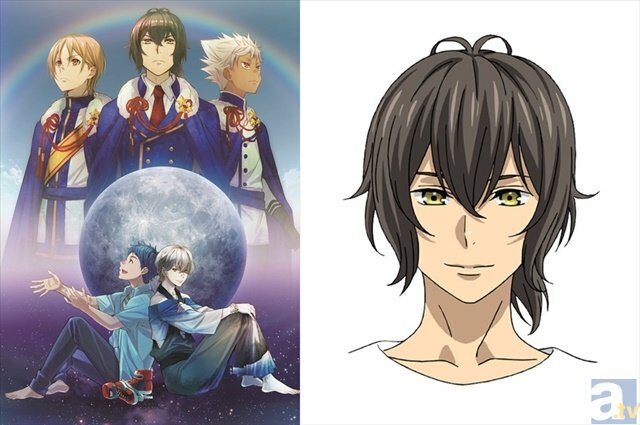 In the preview they showed during the Niconico live, at the beginning when Yuu meets Shin, instead of introducing himself as “Yuu”, he says his name is “Zeus”. This is so ridiculously funny I didn’t even believe he actually said that. I only got it when I saw fans on twitter making fun of it. Yuu is copying his sister who called herself Cross and made his own 2cool4u nickname. 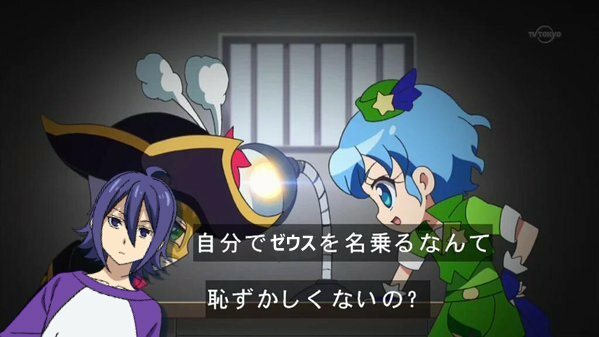 Someone on twitter photoshopped Yuu in that PriPara scene when Dorothy imagines herself interrogating Kaitou Genius, saying “aren’t you ashamed to call yourself Kaitou Genius?” Replace Kaitou Genius with Zeus. 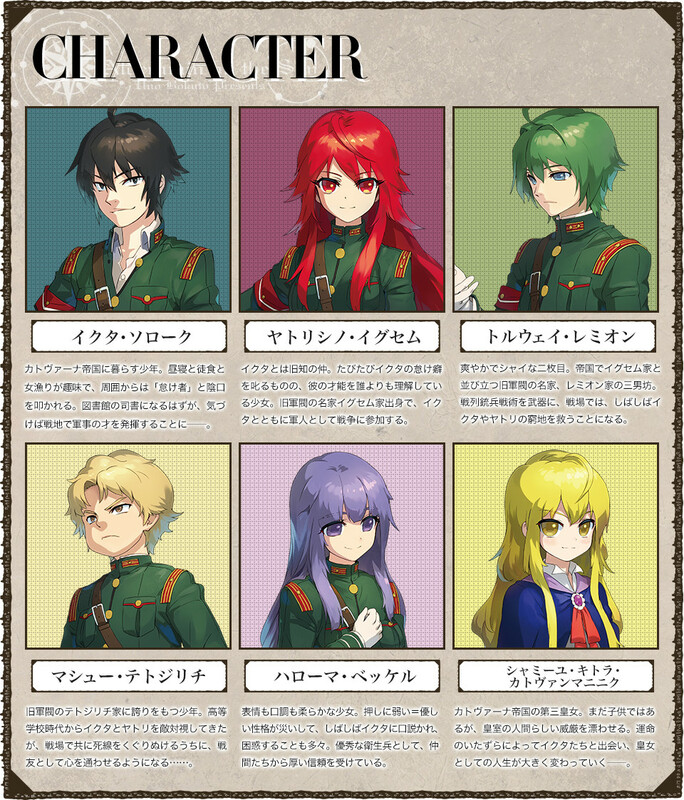 In Tenkyou no Alderamin there’s a girl called Yatorishino that looks like Bell. There’s a VN that’s getting an anime in winter 2016 called Ao no Kanata no Four Rhythm. In it they do a sport called Flying Circus where they kinda skate in the air. The VN was first released in 2014, later than Pretty Rhythm. Maybe the author got the idea from PR? It’s still too different though. It was probably inspired by stuff like Air Gear and Strikes Witches etc instead of PR. If you look at the Bell poster in the Kinpri nico preview video, she wears a very similar outfit as PriPara’s Hibiki. Hibiki is a mix of Bell and Ito. 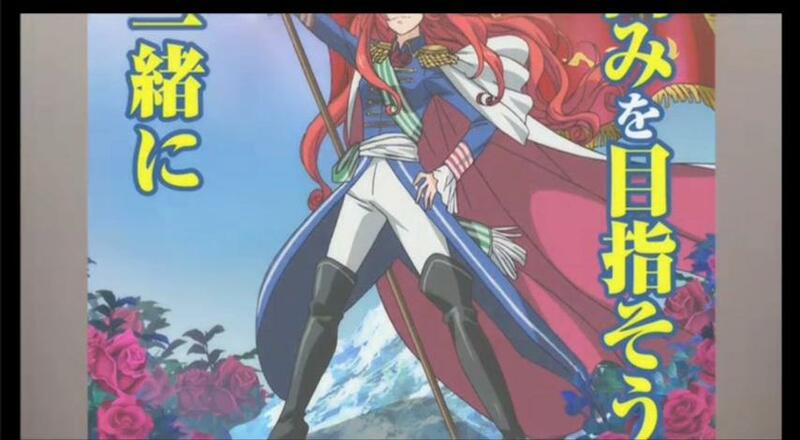 And now Bell wears Hibiki’s clothes. Someone should be able to make a good inception meme macro out of this. There’s an official Dear My Future set of Karuta cards. 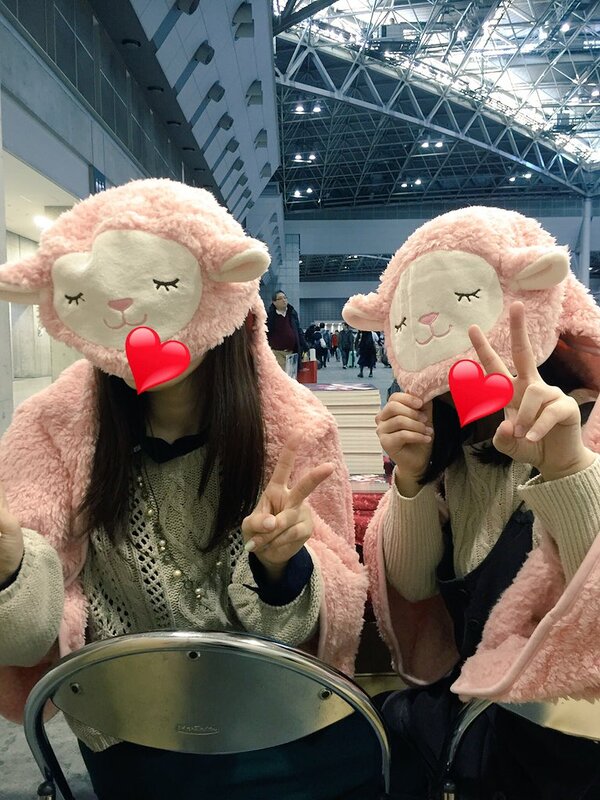 Posted by Matsuura Mai for Bell’s birthday 11 November and Hijiri’s bday 23 November. 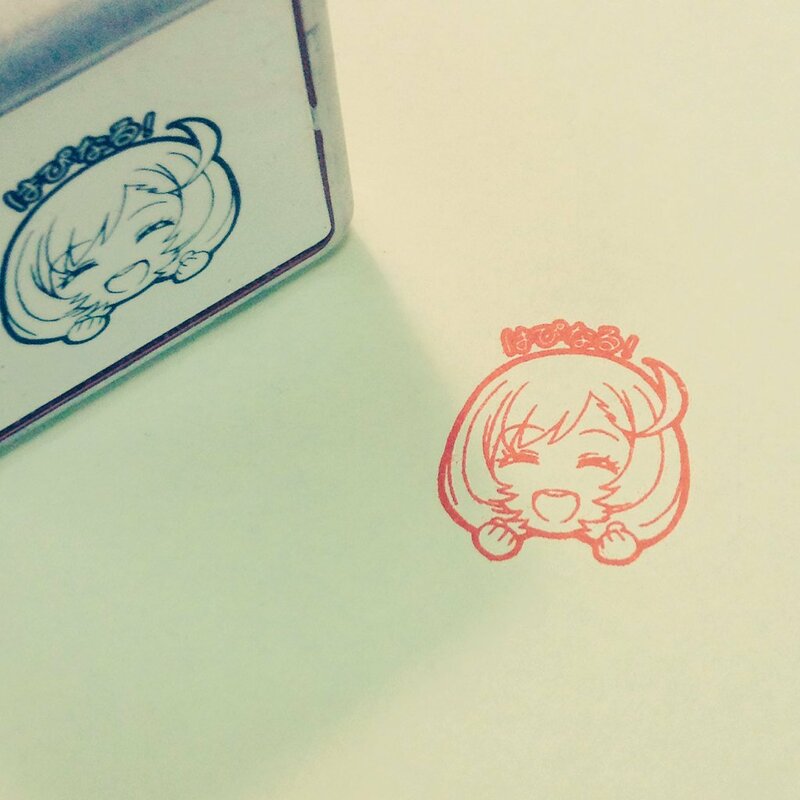 Tons of new Bell fanart got posted for her bday, you can find ton on pixiv etc. 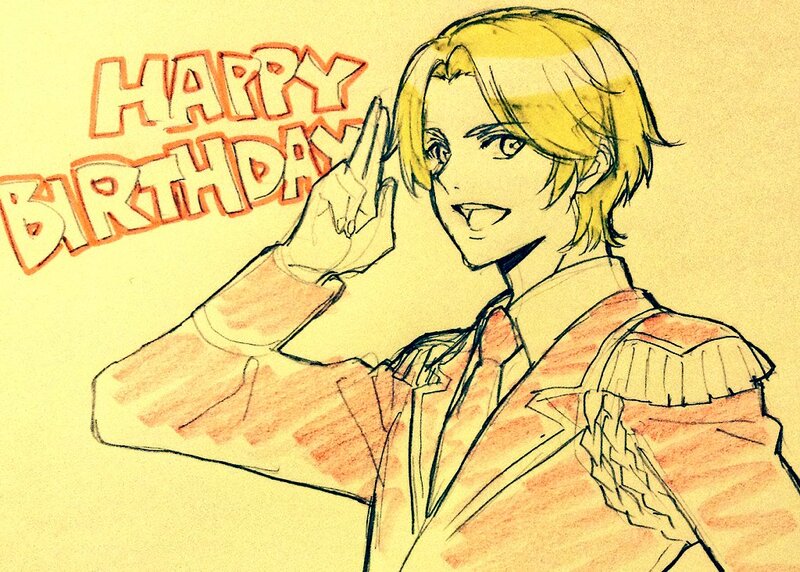 Whenever it’s a character’s bday there’s new fanart of them. It’s nice. 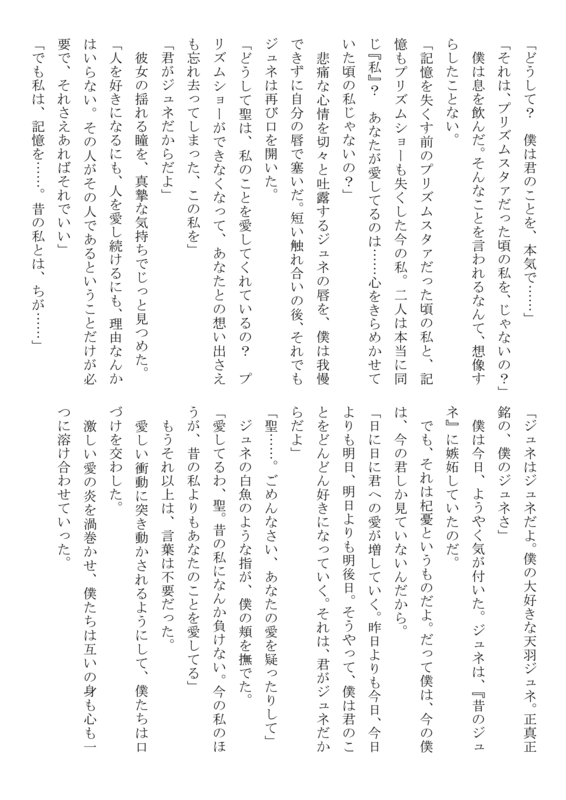 A Japanese fan wrote a short Hijiri x Juné fanfic for Hijiri’s birthday. Didn’t even read it myself, need to finish this post first at least. 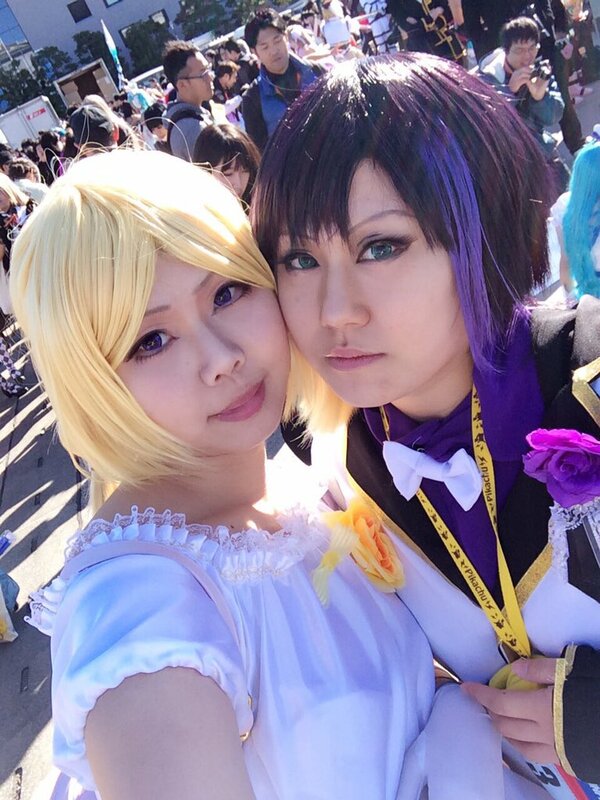 Hijiri cosplay by なずさん and Juné cosplay by 秋山宵. You can find more Hijiri x Juné stuff with the #氷室聖生誕祭 hashtag on twitter. 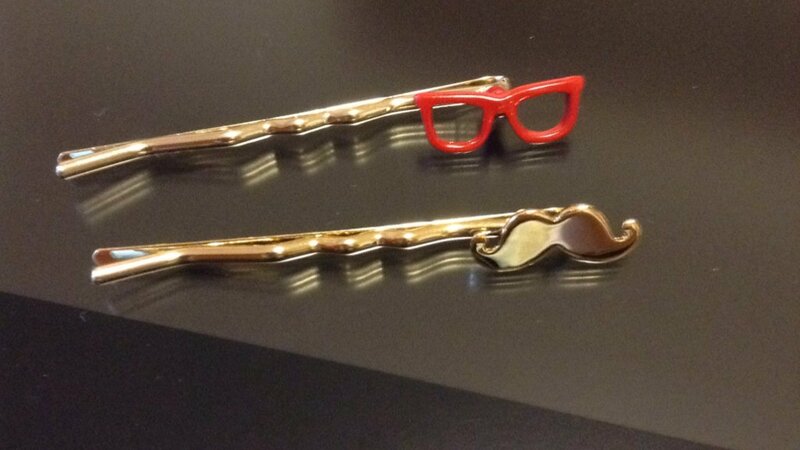 Akaii Megane glasses and Yamada /Tanaka moustache hairpins. 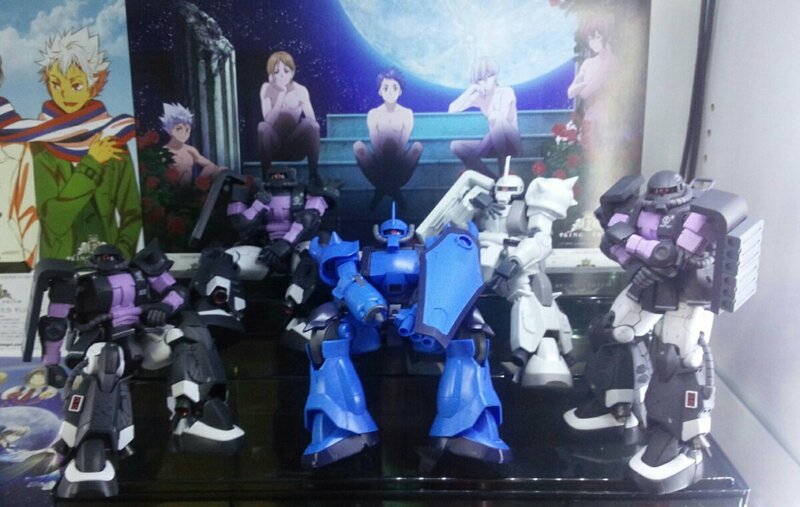 THIS IS NO ZAKU BOY, NO ZAKU!! The other day I learned some fans call Jin “Ippan Jin” in reference to this scene in episode 45. He tells Hijiri “Watch your tongue, you commoner!” Commoner=ippanjin. 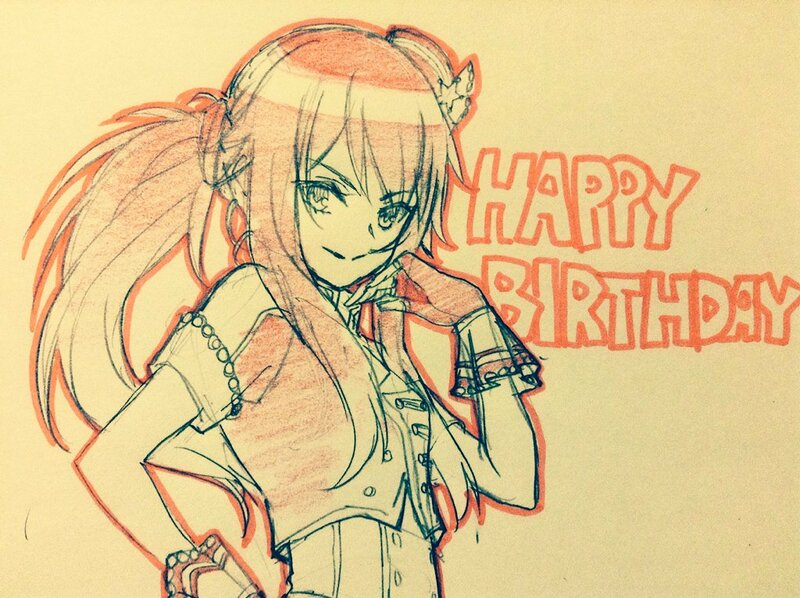 A Rinne drawing by Matsuura Mai. She did it while working on the movie to take a break from almost only drawing boys. There’s a guy in Utau no Prince Sama that slightly looks like Hijiri. 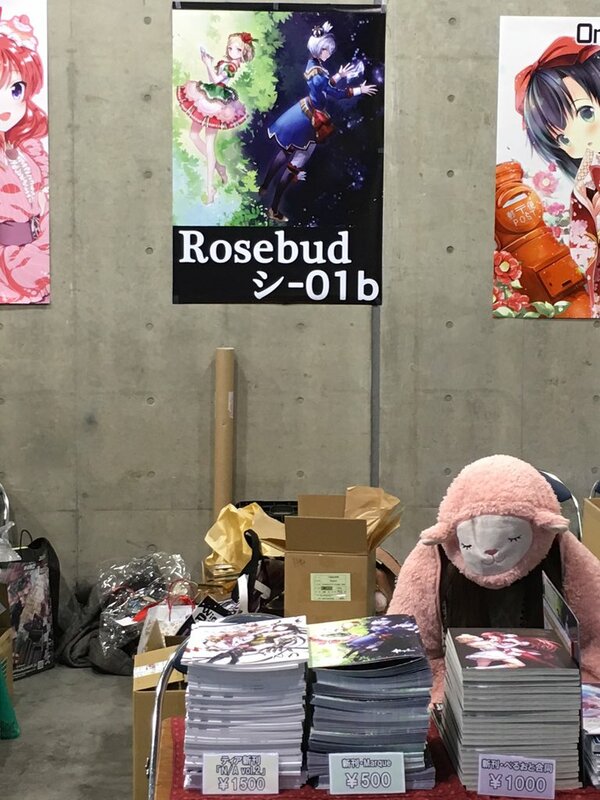 Random pics of booths selling PR related merch at C89. Drawn by 赤坂 択. Jin and Hiro during new year midnight temple visit, Jin rips his paper because he drew bad luck or something. PriPara is getting launched in Korea. 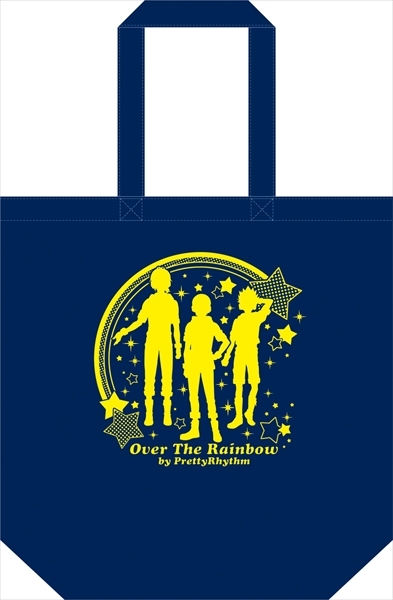 Don’t know if they’ll keep Pretty Rhythm as well. I tried to translate the interviews using Google translate and u know how bad the translation anyway in kouji’s interview did he say that the person he admire is suzuno gen ? That’s what he says yes, his father and Suzuno Gen.